Next week in math we are going to be wrapping up our first addition and subtraction story problems unit and moving into telling time. I created this Telling Time Unit to help us out with that. Before Thanksgiving we are just going to be discussing a.m. and p.m. and using a timeline. 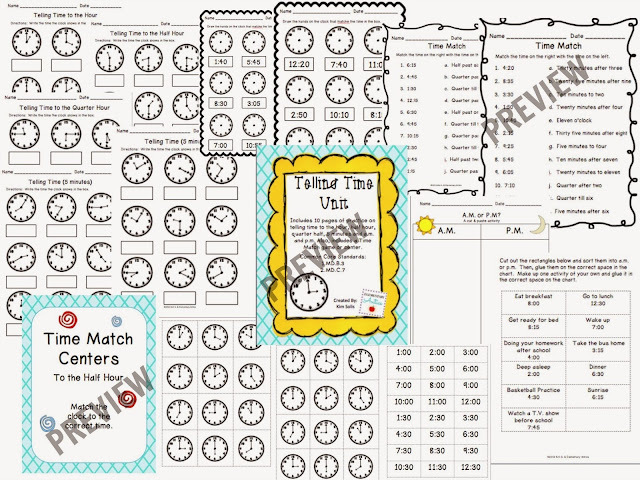 This little unit has worksheets to for practicing telling time to the hour, half hour, and every five minutes. 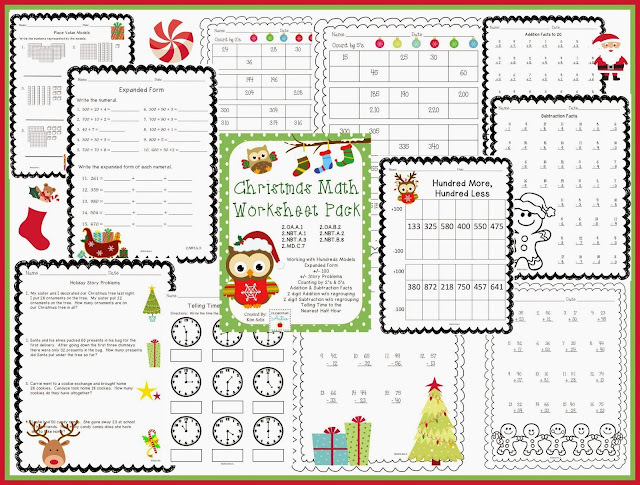 It also has a couple practice sheets for matching the time to the words (Ex: quarter after 5 and 5:15) There is a cut and paste a.m./p.m. activity, as well as a Time Match game or center. I think this would be great for some 3rd grade practice as well. 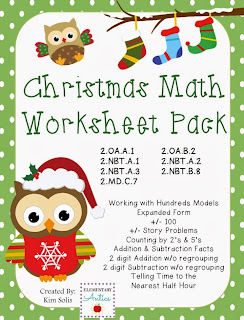 If you're already gearing up for the holidays, then you might like my Christmas Math Worksheet Pack. 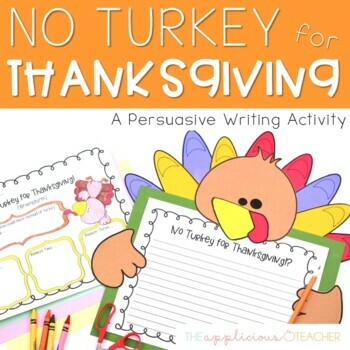 This week I'm going to be using The Applicious Teacher's No Turkey For Thanksgiving Persuasive Writing Craftivity while we work on persuasive writing. I can't wait to see how it turn's out! Hang in there! Next week it's Thanksgiving Break!